Your customers have choices. And, so do you. Whether you’re from a small organization with no marketing team or you simply need help breaking the ice with clients and prospects, you must choose to commit to good marketing if growth is important to you. Break Ice Marketing opens doors for customer engagement and success. We'll bring your brand to brighter lights by helping you differentiate, communicate and market. Our choice is simple. We're committed to promoting your business because your success is important to us. Break Ice Marketing helps companies like yours grow and prosper. Heather Dowell, President and Creative Strategist of Break Ice Marketing, has been clearing the path to consumers for 18 years. 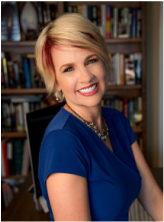 She launched Break Ice Marketing as a result of a vision to help organizations of all sizes grow and prosper though "break ice" marketing strategies. With a mentality that anything is possible, Heather thrives on finding ways to turn nearly all challenges into results-driven opportunities. Have a challenge? Looking for a "break ice" marketing strategy? Or, do you simply need help completing a few marketing projects? Whatever your marketing needs are, give us a call! We can help!